Ford has announced the New Ford Focus ST 4 with up to 280bhp available to purchase before summer 2019. Register your interest now. Set to release this coming June, Ford have revealed their latest addition to Focus’ already eminent line-up – the All-New Ford Focus ST. But what can drivers expect? 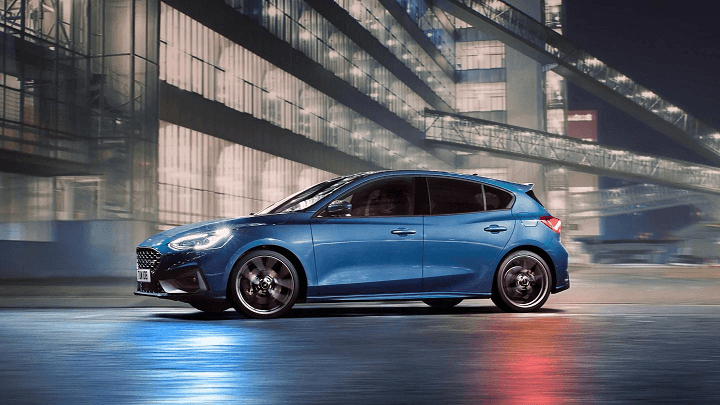 The 4th generation Ford Focus ST 2019 encapsulates enhanced hatchback practicality with sculpted sophistication perfectly scheduled for summertime adventure. Get ready to experience the redefined power and performance of this stylishly sporty Ford available to purchase within the next 2 months. Stay sporty on the streets with a unique interior designed to excite. 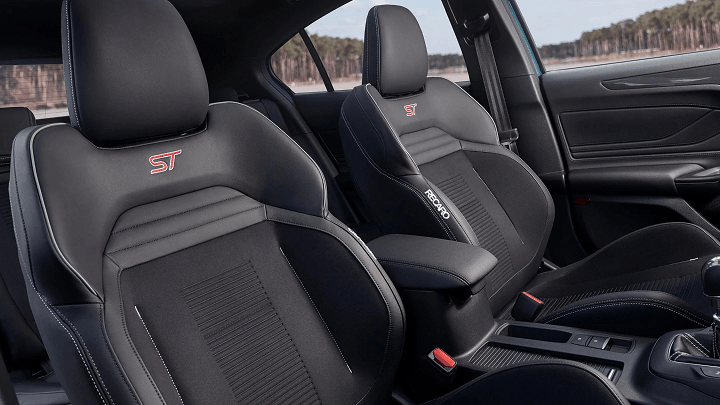 From the high-end Dinamica/Recaro Performance seats (finished in a choice of cloth, leather or partial leather) to the intricate ST-embossed gear shift, steering wheel and ST- branded scuff plates, the All-New Focus ST 4 intensifies the feeling of escapade and thrill. But what’s escapade without execution? Luckily, you don’t need to worry about that as Ford’s 4th generation Focus ST makes sure it delivers. Choose from the 2.3 litre EcoBoost Petrol engine or the 2.0 EcoBlue Diesel engine, both available with a Manual 6-Speed Transmission with a new Automatic 7-Speed Transmission becoming available later in the year. 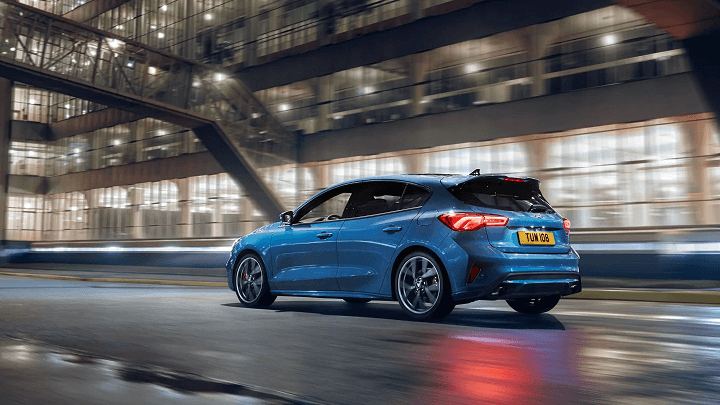 The 2.0 litre engine will work to produce 190PS with 400Nm of torque whilst the 2.3 litre engine distributes an impressive 280PS and 420Nm of torque to the front wheels. Elevate your driving experience this summer with a newly fine-tuned sports suspension bringing power to the pedal and driving dynamics that just might make your heart skip a beat! Drivers will also be pleased to know that 2019’s Ford Focus ST will come with Selectable Driving Modes as well an Electronic Limited Slip Differential (a first for the Focus ST range) to deliver improved performance, ride and handling. Stay tuned for more details to follow shortly with pricing announcements later this month. To receive future updates about the Ford Focus ST please be sure to opt into communications.